A few weeks ago my teen troop visited the Girl Scout Council of the Nation’s Capital main office, where they learned about career opportunities for professional Girl Scouts, discussed how exhibits are curated, and discovered some of the treasures held in our archives. Then they went south on Connecticut Avenue, made a left onto Tilden Street NW, and visited Peirce Mill in Rock Creek Park. Barely a mile from the Council office is a delightful retreat that is a perfect place to relax after a rough week of exams. It is also an important landmark in the history of Girl Scouts in Washington, DC. Rock Creek runs behind the mill along a popular jogging and biking trail. 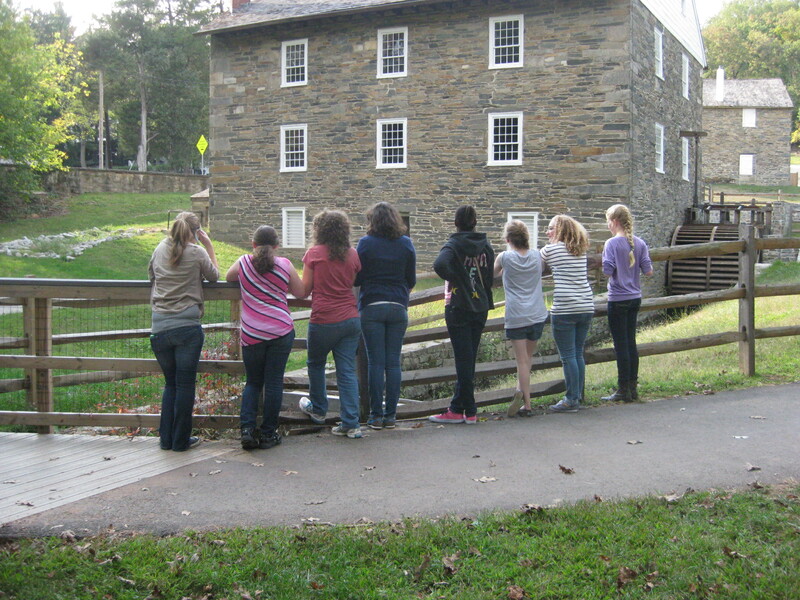 On November 16, 1921, the Girl Scouts of Washington DC opened a tea house in the old stone mill. Grace Coolidge, wife of Vice President Calvin Coolidge, was on hand for the ribbon cutting. Peirce Mill operated as a grain mill from the 1820s until 1897, when the main shaft broke. Park administrators permitted the first tea house on the site in 1905, and several different ladies operated the concession before it was offered to the Girl Scouts rent free in 1921. The main floor was used as a tea room, while the cook lived on the second floor. The interior of the Mill has been entirely done over, with the walls a colonial yellow and the tables and chairs painted a dull blue. Trim little curtains of yellow edged with blue fringe, and yellow and blue candles on the tables give a cozy effect to the big room. … Coffee chocolate, toasted muffins and marmalade, hot waffles and maple syrup are among the delicacies which are serviced at the Tea House. Newspaper accounts especially praised the tea house for its “Harding waffles.” Apparently presidential “waffling” has not always been a cause for criticism! The tea house patio was located on this side of the mill. The interior is small and dark, but comfortably cool even in a Washington August. 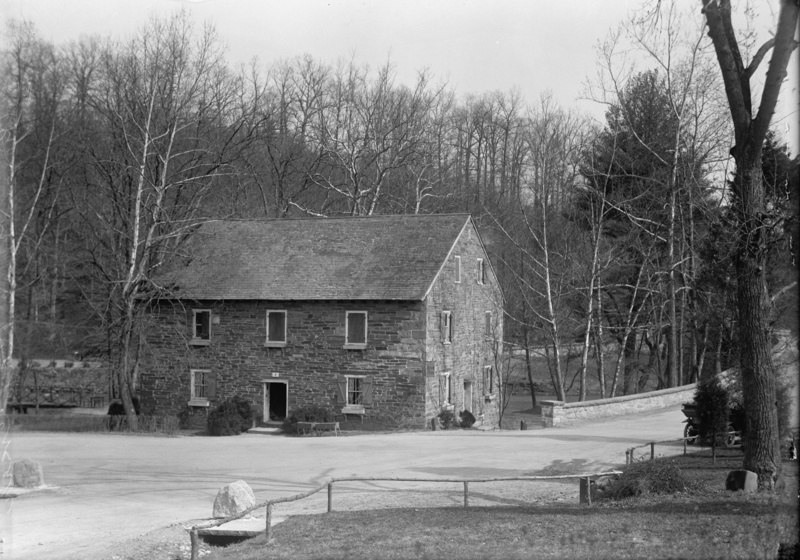 Unfortunately, the Peirce Mill tea house was not as successful as the one operated at Haines Point, but the council continued to use the building for leaders’ meetings and training sessions for many years. 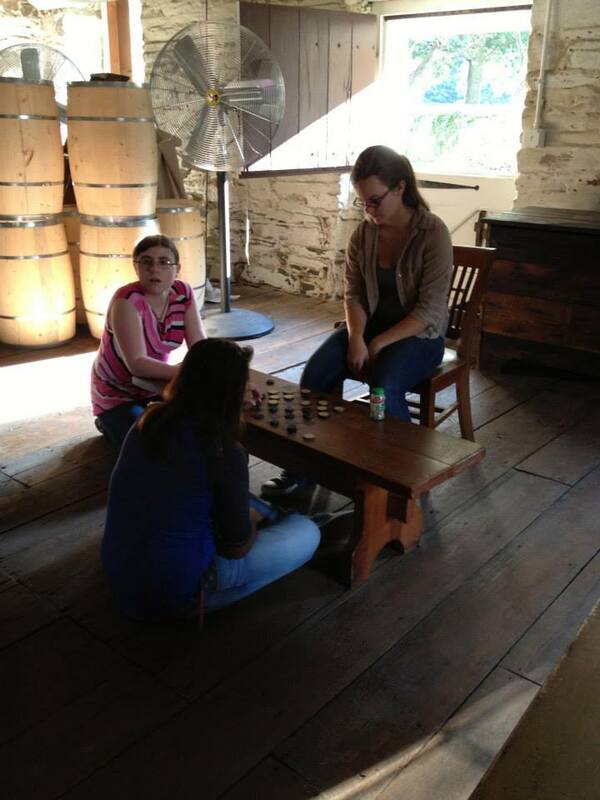 Today, Peirce Mill is operated by the National Park Service. 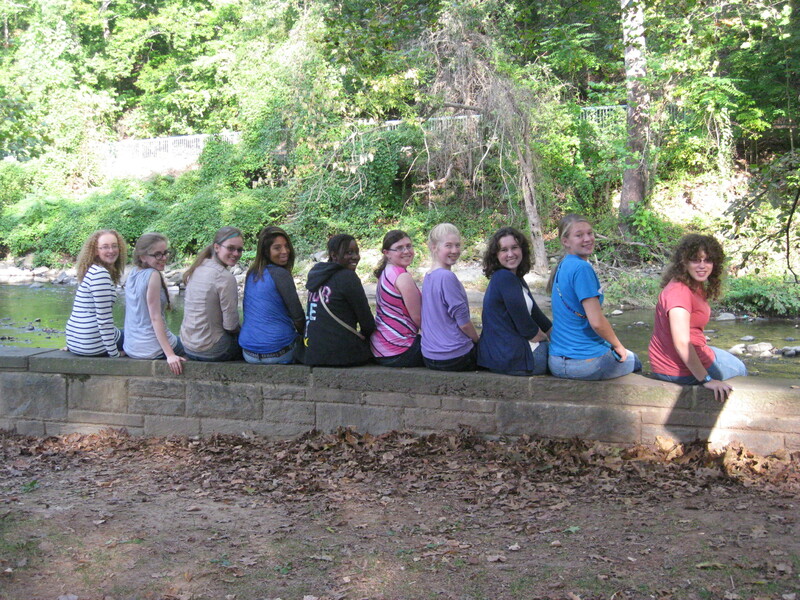 Teen Troop 2890 thanks the staff of Peirce Mill and Steve Dryden of Friends of Peirce Mill for their hospitality. For more information, see Steve’s book on the history of Peirce Mill.